I would like to encourage anyone who falls into one of the vulnerable groups to make sure you get your flu vaccination. 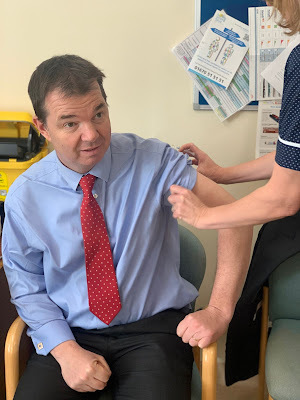 I have the vaccination every year as I lost my spleen in a riding accident and so am immuno compromised, but if you are aged over 65, a pregnant woman or have an underlying health condition such as heart or respiratory disease or a weakened immune system, please do arrange with your GP surgery to get the flu jab sooner rather than later. Protect yourself this winter- it's not too late! Get set for the Hexham Running Festival! Let's all do the Daily Mile!